Have you ever had that moment when you wake up feeling groggy and just catch a glimpse of yourself in the mirror? For most of us, the shock is not our bed hair, it’s the dark circles located just underneath our eyes. It can be a bit aggravating to start your day like this because it’s not really motivating to see a visible sign of aging and stress right underneath your eyes. Besides the factors detailed below, your anatomy is also at play. Unfortunately, the skin around our eyes is not equipped with its own oil glands. This makes it extremely vulnerable to damage and darkening. Cosmetic companies know this and they’re more than happy to spend billions of dollars in advertising promising the world to you. The problem is that some of these expensive creams that may not work and are even made with chemicals that can harm your skin. 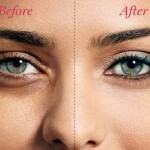 But before we explore how to get rid of dark circles, you need to know why they appear. When people associate dark circles with growing old it’s not without reason. In fact, it’s probably one of the main factors causing it because as we grow older we inevitable lose collagen in our skin. 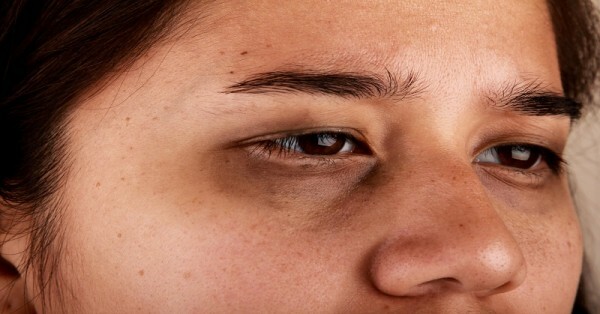 When this happens, the veins underneath our eyes gradually start becoming even more visible. If you like to sunbath regularly, you may be accelerating the process because sunbathing can break down collagen and mottle your skin color. This is commonly referred to as the biggest factor for developing dark circles under your eyes. But it’s also beyond our control. When it comes to this issue, having light or thin skin will put you in a disadvantage because these skin types usually stretch the capillaries located there. This in turn will lead to blood pools forming right below your eyes. This is a minor factor in the long term because it’s only limited to a certain amount of time. When you have an allergic reaction, your body is triggered to release histamines. These cause inflammation in blood vessels such as the ones beneath your eyes. The issue is discovering whether it’s a reaction or one of the other factors. One tip is to gently stretch the skin. If you notice it’s getting darker, the cause is most likely genetics or aging. I understand the great temptation of just going straight ahead and buying a cream that promises the world to you. But what if I told you that your kitchen holds the necessary ingredients to get rid of dark circles naturally? That’s right. It sounds a bit unorthodox, but it’s amazing. Think of it as a two-pronged approach. I recommend choosing organic tomatoes to make your own juice. Using a cotton swab soaked in the tomato juice, treat the affected area. Drink the remaining juice. Both the application and consumption of this juice will encourage cell and collagen renewal. Here’s my secret for choosing the healthiest tomatoes. Remember how cucumber slices constantly pop up in popular culture whenever any character wants to rejuvenate his/her skin? Well there is reason for this. If you soak cotton pads in cucumber juice and place them under your eyes for about fifteen minutes, twice a day, you’ll begin treatment to get rid of your dark circles. Why? Because cucumbers pack a decent amount of vitamin C that can help rejuvenate your skin and reduce the overall puffiness caused by long-term damage. 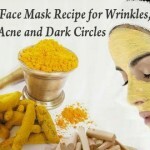 With these remedies dark circles will be gone in no time! 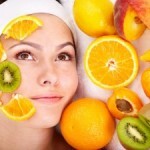 If you’re interested, you can also discover these additional natural treatments for healthy facial skin. 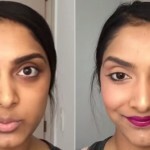 This Beauty Trick May Be the Answer to Dark Circles And it’s Been Around For Years.